In previous doc we mention the way to use WordPress Analytify Simple shortcode . In this we will discuss Advance shortcode and how easy are they in use. Metrics are quantitative measurement, the Metrics Session is total number of sessions. The Metrics Pages/Session is the average number of pages viewed per session. Dimensions: Describes characteristics of our users, their sessions and actions. Visibility role: Who can see the result on the front end. Sort By: Select with respect to Metrics value. Analytics for: Here you can select the analytics for the full site just for the current page only. Date range: In this option you can set the custom date, current date, last 7 days, last 15 days, last 30 days or yesterday analytic. Max records: Here you set how many results are shown in front of viewer. 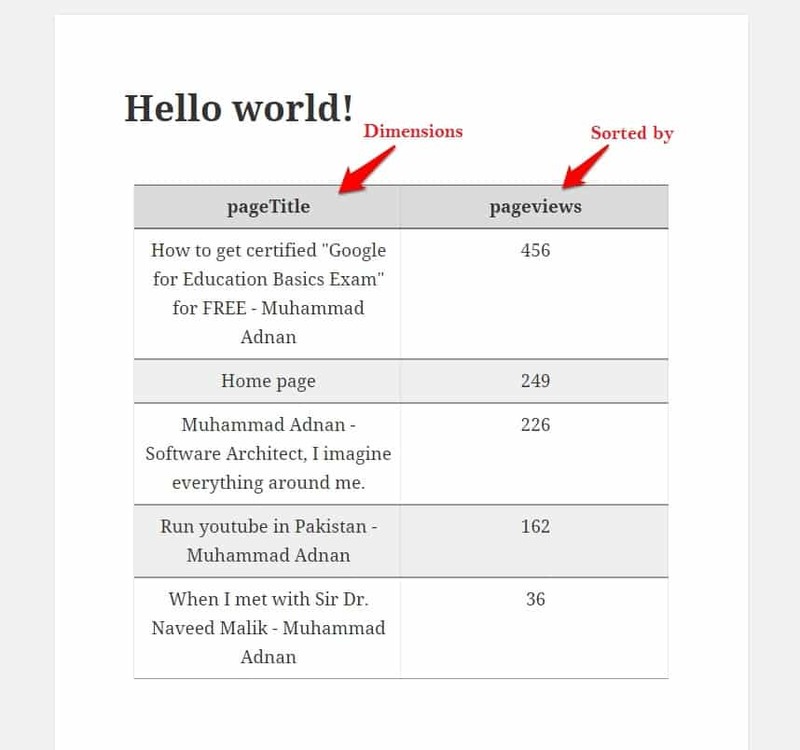 Here is Example of the Top Pages with respect to the Viewer. Get the Top Pages with respect to the Viewer. 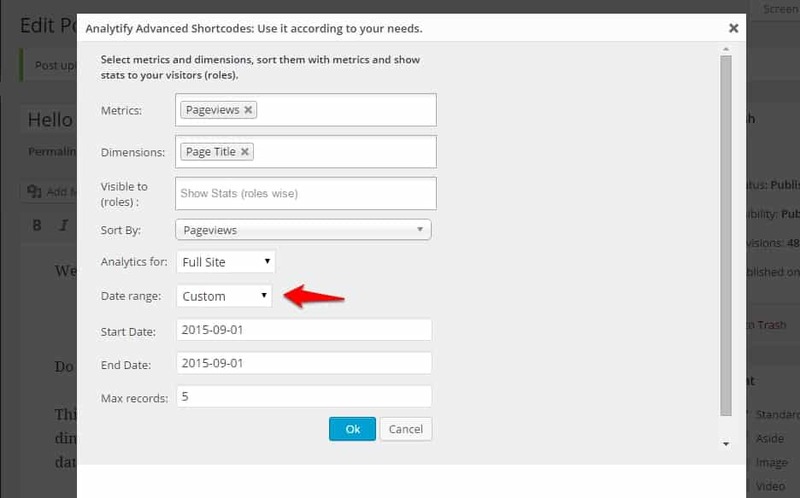 First Select the Advance type from the Analytify shortcode button. Here we select (Pageviews) in Metrics. Next set the value (Page Title) which one you want to retrieve in Dimensions. Sort the value with respect to Metrics (Pageviews). And other fields are set on your demand. After set the values you'll get the shortcode..